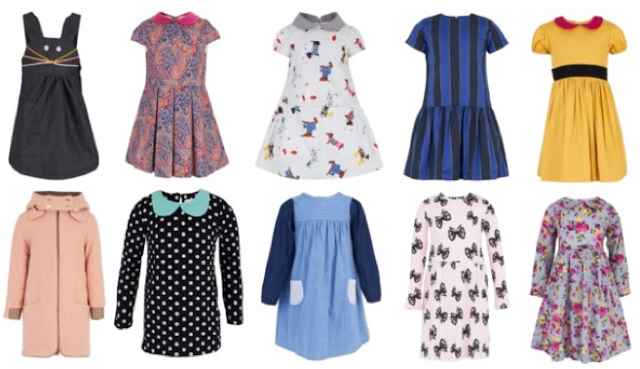 My favourite site which I have discovered is called Alex and Alexa, they sell designer clothes for children (boys and girls) and babies. 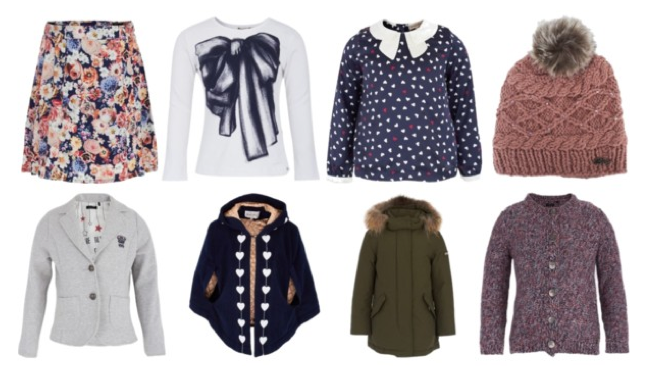 I literally love everything on there, I only wish that they sold the clothes in adult sizes too! The Oscar De La Renta paisley dress, the print and colours are beautiful, but the little extra detail of the velvet collar is just adorable. The salmon pink Chloe coat is something I would wear, it's so classic and I'd love to dress Elodie in it. The adorable rabbit dungaree dress by Bang Bang Copenhagen. This is so cute and childish yet still really stylish. It's also one of the cheapest items of the bunch. The Paul Smith floral skirt, which I couldn't actually believe was for children. It looks like something you'd see in Topshop, and is definitely something which I would wear! Finally, my absolute favourite item is the Rachel Riley heart trim cape, I am in love with this... it's the cutest thing ever. I'm really, really tempted to treat Elodie to this, I think it would be worth the money because she would just look so beautiful in it! It doesn't just stop at beautiful clothes though, Alex and Alexa have a range of different kids designer shoes, toys and some gorgeous home wear. There is also a Alex and Alexa competition on their website where you could win a £1000 wardrobe for your little one! There is one week left to enter... good luck if you do!